Lineage 2 smashes through another milestone in the new year! Netmarble Games Corp., the fastest-growing mobile game company worldwide, has reached 5 million registered users for its mobile MMORPG Lineage 2: Revolution since its global launch in 54 countries just two months ago. In celebration of the 5 million registered user mark, Lineage 2 Revolution is giving out 5 Enhance Scroll items to all players of the game. Having recently introduced 50 v. 50 Fortress Sieges and 30 vs. 30 Open Sieges, Lineage 2: Revolution offers the largest scale multiplayer gameplay ever available on mobile devices. Adding further content to the game, Netmarble has expanded the Tower of Insolence by 10 floors, bringing the total to 70 floors through which players can climb, receiving additional rewards including Rune and EXP. Additionally, Lineage 2: Revolution players are now able to participate in The Combine Equipment Event, which runs through 07:59 GMT, 18th January. The event rewards all players who acquire at least a Grade-S equipment through combining with one Grade-R Varnish Selection Box. Aymel’s School - Growth Mentor Event, which runs through 07:59 GMT, 17th January, gives players automatic leveling when they clear five quests. Players will be allowed two free clearances per day and the quests’ difficulties will increase for better rewards. Rewards for completed quests include Adena, Enhance Scroll Bundle and Blessed Scroll Bundle depending on the number of quests completed. In celebration of the New Year, players who log-in from now until 07:59 GMT, 21st January will receive various letters and in-game items per day during the New Year Celebration Everyday Log-in Event. Players will receive letters (“2,” “0,” “1” or “8”) and various items (Blessed Scroll Selection Box, Auto-clear Bundle X3, Grade-A Quest Scroll Box, Grade-A Weapon Varnish, Grade-A Armor Varnish, Grade-B Accessory Varnish, 30,000 Adenas, and Enhance Scroll Selection Box) depending on the date of log-in. On January 18, a new event will begin where players can exchange their collected letters for in-game items (5,000 Adena box, 500 Soulshots, 1 Recovery Consumable Box, 1 Herb Random Box, 2 Grade-S Question Scroll Box, and 1 Grade-SR Equipment Random Box). 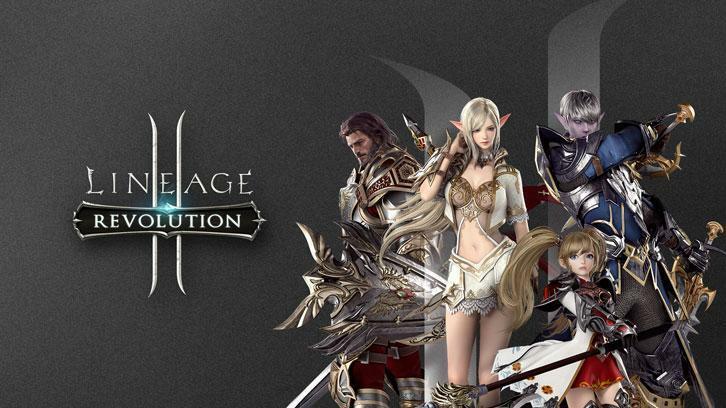 Lineage 2: Revolution is available worldwide on the App Store and Google Play. For more information on Lineage 2: Revolution and the in-game events, please visit the website at http://l2.netmarble.com.